Are you the kind of person people enjoy having around – in fun times and during moments of crisis? Here are 10 skills everyone should master. Experiment and figure out what you like – in both red and white. Do a bit of reading so you’re clued up about the various wine labels and can make a good selection. Tip: often the cheapest wine on the menu is the one that has the biggest mark-up so represents the worst value for money – and it can also be real plonk. Rather spring for a more expensive bottle. So what if it costs R30-R50 more a bottle – divided between a party of four it won’t break the bank but do keep in mind the budget limitations of your dining companions. Work on becoming comfortable talking to anyone. It’s called small talk for a reason – it’s a way for strangers or people who haven’t seen each other for a while to reconnect. But that doesn’t mean it has to be boring – keep it light and fun. Don’t scare people by becoming intense and heavy too quickly. It’s like telling a story: beginning, middle, end. Throw in some dramatic pauses to build suspense. And don’t forget the punchline. You never know when it could come in handy. Someone could be choking on a piece of gristle -- you owe it to them to spare them from dying in such an undignified manner. Pick up the first chopstick with your middle finger and thumb. This one is your anchor -- it should not move. 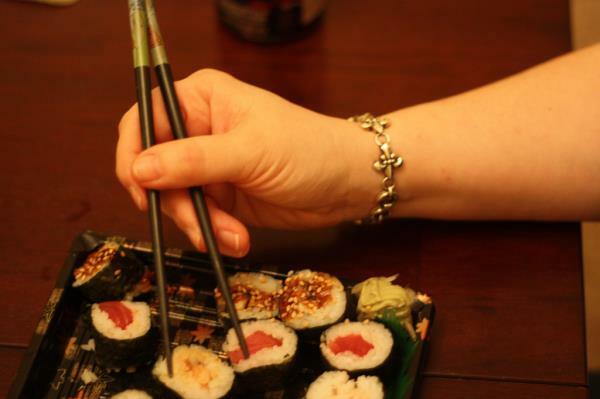 Grip the second chopstick with your index finger and thumb. This is the stick that moves. Make sure the narrow tips of the chopsticks are even with each other to prevent them from crossing. Now practise, practise, practise. There's nothing worse than cremated steak. Do some research and experiment – you friends will thank you for it! Imagine the scene: you arrive at a trendy street cafe where Charlize Theron-lookalikes are sitting drinking espresso and looking über cool. Outside is the perfect parking spot. You can't be the fool who makes three attempts to parallel park and then gives up and has to drive three blocks down the road to find a double bay for your car. Don’t be the drip who’s always hanging around on the sidelines, watching everyone else dancing because you’re too scared to venture onto the floor in case you embarrass yourself. If you are the ultimate klutz it’s worth investing in lessons. Take the total amount of your bill and calculate a percentage for the tip. Generally tips fall in a range between 5% and 20% of the total, depending on how happy you were with the service. Most phones have calculators which makes life easier. If you’re not comfortable working with percentages practise until you are.